Feature: SMOKE MAGAZINE (Fall 2009): "92, Excellent"
Grab a 4 Pack! Finally! Thank you for your patience, and ALL the emails asking: "when will Red be available?" It is here. 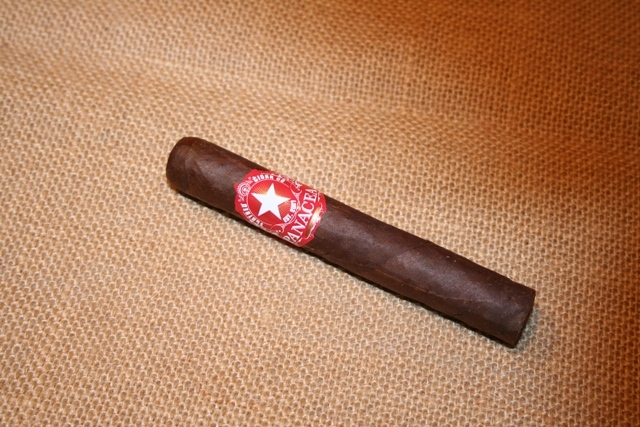 Enjoy.... Flatbed Cigar Companies latest cigar; PANACEA Red. Our strongest cigar to date. A full bodied, full strength cigar. Brazilian maduro wrapper and Habano binder surround blend of: Seco Cubano, Ligero Piloto Cubano, Ligero Olor Dominicano, and Ligero Nicaragua. Like our PANACEA Black Maduro - this cigar is smooth and balanced. The difference is in the taste and strength. PANACEA Red has all the nutty, spicy, and sweet flavors of the black, but in a bolder body and pallet. If you like a strong cigar but insist it be balanced, this cigar will become your favorite. Great cigar, Well constructed, nice aroma. The Robusto size has always been my favorite, and the flavor did not disapoint. My favorite is still the Corojo, and the Sumatra sample that was sent with this order was superb, Highly recommend. A "boutique beauty". Well constructed, great burn. Rustic slightly toothy wrapper, medium strength, full bodied, LOTS of flavor. A caramel sweetness throughout, with some floral and spice notes. Very distinctive cigar. Highly recommend.